“The most difficult thing is the decision to act, the rest is merely tenacity. The fears are paper tigers. You can do anything you decide to do. You can act to change and control your life; and the procedure, the process is its own reward.” – Amelia Earhart, the first female aviator to cross the Atlantic Ocean solo. Before I boarded the plane for that fateful journey to Bangkok on a one-way ticket back in September 2012, I stressed a lot about the prospect of a solo journey with no finite end. I worried I wouldn’t meet anyone and that I’d spend a lot of time feeling lonely. We met on Twitter, rendezvoused in Bangkok, woke up at 5am, and got a magical monk tattoo together. It was Yvonne’s fourth (she has her whole back done) but my first, and easily the most spiritual ink either of us has ever had. Years later we’ve become the best of friends. She even helped me find my new home when I visited her in Berlin for the first time, introducing me to one of the world’s most wonderful cities. She came with me to Burning Man, and I spent Christmas with her family. We chat nearly daily and I see her weekly when we’re in the same place. It’s a wonderful friendship, and we owe it all to traveling. When I was in Pai in Northern Thailand, I became part of the four – one 19-year-old girl from Canada, one 23-year old from England, one 28-year-old from Scotland, and myself, the fourth. I don’t remember who I met first, or how it came to pass that we gelled so well together, but it just happened bonding over Chang beers one night and from then on we were inseparable. Four girls with blue eyes and brown hair, all from different places and of varying ages, but with one thing in common: solo travelers who came together under the pretense of enjoying a year in Southeast Asia. Everything we did revolved around having fun, but also in supporting each other. It was a cohesive group that still lived on a full year and a half later when I visited them in London. “This is what makes good friends,” Fiona said, “We put in the effort and that’s testament to why we are still close”. So much time can pass, but when we get together nothing will have changed. It will be us, and we’ll still be the four. We sat across from each other in a dorm room I’d impulse booked in Malaysian Borneo. I’d toyed with the idea of climbing Kinabalu over the course of two days – the standard method involving an expensive guesthouse stay near the top – but couldn’t shoulder the cost. “I know a way to do it for cheap, but it’s a one-day hike this way,” he told me. Later we took a motorbike loop together around Borneo, crazy and irresponsible as it was. We filled up soda bottles with gasoline hoping the attendants wouldn’t see and biked through jungles. Ned also told me about trekking in Nepal which motivated me to make the trek a year later. Thanks, Ned, you probably didn’t know how much of an inspiration you were and continue to be. Darius is my longest travel buddy to date. We met at the first guesthouse I stayed at in Vietnam and ended up traveling the rest of the country together, all the way from Ho Chi Minh City to Hanoi. Various awesome people joined and left the group over the course of that month, but the two of us remained more or less inseparable. I didn’t fear seeking out places where other tourists don’t usually go because I knew I’d have a friend along for the ride. Though we were constantly meeting other people, it was really nice to know that for that time in Vietnam, I’d always have at least one partner in crime. If it weren’t for Ya Ting, being in China could have meant a lot more solo traveling, but like it always does, life worked out. Ya Ting is a dynamic Chinese girl who had quit her job to travel on her own. It’s not as common to do in China, but she was unfazed. I met her in a dorm room in Lijiang where I’d arrived after a long solo bus ride. As I prepared to venture deeper into the Himalayas, I knew things could have become a lot lonelier. Thankfully, Ya Ting changed her plans and came along with me. We hitchhiked together, trekked for days, and sought out adventure after adventure. She was the first local I had traveled with long term in any of the countries I’d been to yet and it was such a treat to be brought so closely into a new culture for our 3 weeks together. If you believe in fate, and I do, then you could say it put Ellen and I together. I was gearing up to trek solo, without a guide nor porter, in Nepal. As I boarded that bus, I still hadn’t found anyone to go with. Seats were supposed to be assigned and I took the last one that day not realizing that they should have been purchased ahead of time. I did my usual, “I don’t know the rules” shrug and the attendant sat her next to me as he moved people around to their assigned seats. Over the next two weeks I trailed behind her, always walking all day from sunup til sundown, all because she was driving me forward. Honestly, Ellen, the reason why we managed to cover the Annapurna circuit and Base Camp so quickly was because of you. Thanks for motivating me. Months later, I had an 8-hour layover in Brussels and she didn’t even hesitate to clear her schedule and hang out with me during that time. That’s friendship, and I value it completely. “I’m glad you’re adventurous too,” Callum said to me as he turned to park in the township in rural South Africa on our way to hike in the Drakensberg. There was streetside BBQ sizzling on the sidewalk and we’d seen it in unison and given each other the “Yeah? Let’s eat!” look. His mother came out, bashful at the international guests, making sure that we had everything we could possibly need – beans, pap (maize made into a fluffy side dish), and a spoon. I’m not sure what the spoon was for, because we went in with our hands, local style. She was so pleased that she asked for my email as we promptly ordered two more steaks to take along on our hike. weeks later, she emailed me with an invitation to stay with her next time we passed through town. Since I can’t drive a stick-shift (Los Angeleno, sorry) Callum drove the whole time during our two week road trip across South Africa and never complained. I was lucky to have found him through asking on Facebook, and it turned out that I couldn’t have asked for a better road trip buddy. The best gift in life is to find people who inspire you to learn, to try things you’ve never considered before, and to motivate you beyond what you thought you were capable of. So many of the aforementioned have done that for me, and to have had the pleasure of meeting them was a blessing. The list is practically endless of people who have shown up just when I thought I was going to have a lonely day. Sometimes it was on a bus ride, on a hiking trail, or as simple and easy as meeting in a guesthouse. I thank the universe for letting all of our paths cross, and I know that the future will bring me even more of these experiences as my solo travels continue. So please don’t fear traveling alone. Even if you’re the shy type, you will meet people. 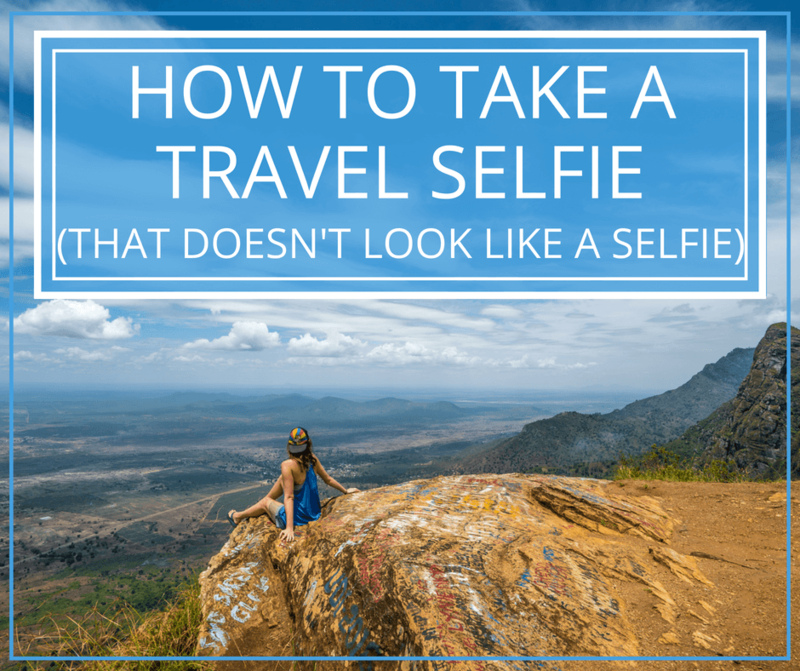 Travelers are friendly, and there are so many of us out there doing this thing solo. You’re never alone, at least not for too long. 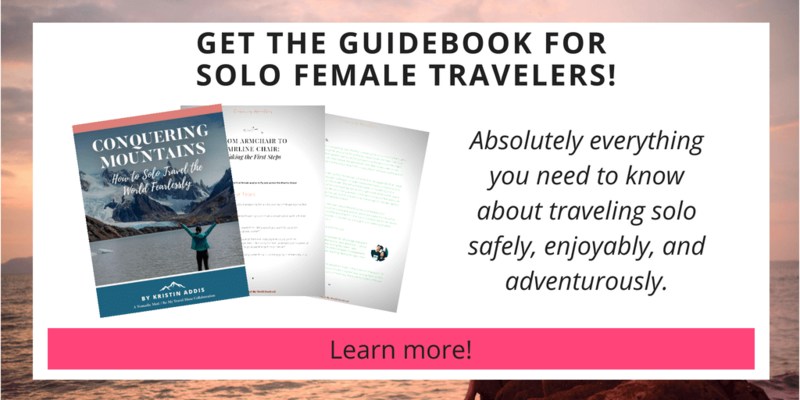 If you’re about to travel for the first time alone, I’ve got you covered with the comprehensive guide book for solo female travelers. Have you met amazing people while traveling solo? Share your stories below! I love this post. I’m not travelling alone and so it can be difficult to meet people for different reasons. But this is such a nice reminder of why it’s worth putting yourself out there! I met a couple traveling once who said it helped them to stay in dorms every now and then, which is actually how I met them! Inspiring post! any tips for how best to meet people to do things with when travelling solo? I find it a little intimidating. So many – stay in a guesthouse, especially a dorm. Ask someone a question, approach them and find out that it’s not that scary and actually usually works out well. Look at events on meetup or couch surfing, or post on forums like Lonely Planet’s Thorn Tree forum. 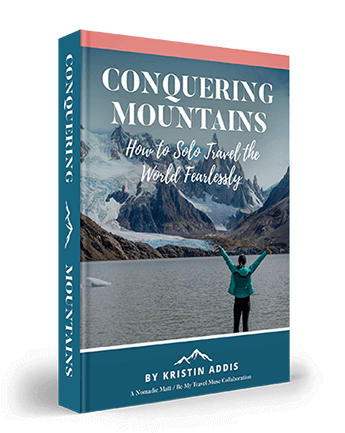 Nothing Adventured, nothing gained… I love how you “pay it forward,” how people inspire you and you in turn inspire (encourage) others to “put yourself out there.” And the proof of enrichment is all the new friends you have to show for your courage. Wonderful, you earned it by going, doing, risking. Thanks so much, Mark. Your words are really kind! I recall that fearing loneliness was the chief item of concern for me before my trip so I wanted to demonstrate with some people who really positively impacted me that people are easy to meet on the road. I’ve been reading your blog since I first got the crazy idea to sell all my stuff and take a year off to travel through SEA. 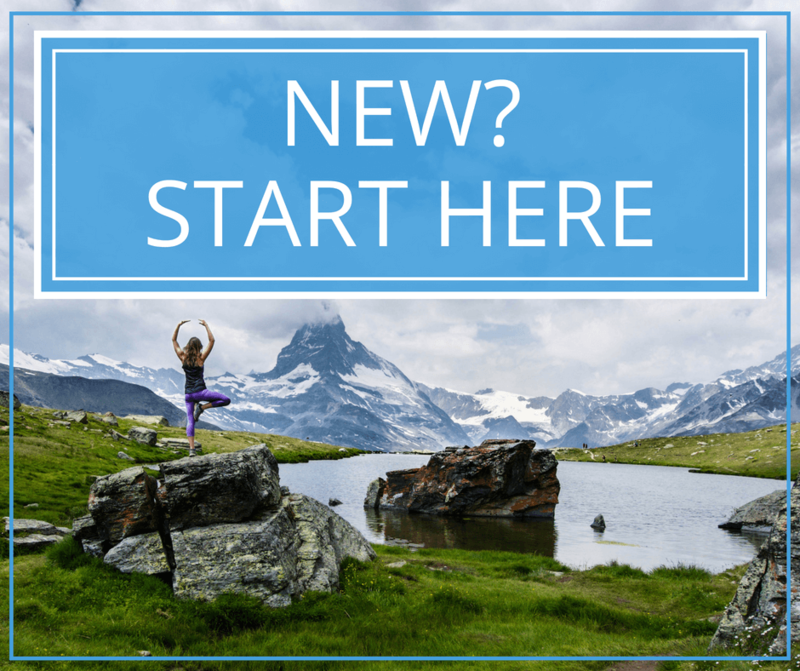 Your encouraging posts make the process seem so much less daunting and I can’t wait to start my own journey in September! Thanks! That’s wonderful, Ashley. It’s not a crazy idea. It’s crazy not to do that if it’s what’s in your heart. The hard part is just getting ready to get out there and once you’re on the road it’s all a piece of cake. I’m preparing to my solo journey through SEA now and, even though I came to China a year and a half ago on my own, I still get cold feet and panic attacks every now and then haha. The voice of reason tells me everything will be sweet but deep in my heart I’m scared of feeling lonely. Where does it come from? I will never know! You’re not alone in feeling that way. Even now before I go somewhere new I get a little scared and panicky because, yet again, I’m afraid I’ll be lonely and, yet again, I’m proven wrong. Everything will be fine, especially in a place as easy as Southeast Asia. It’s full of other friendly solo travelers and you’ll meet so many of them! Great post as always! I’m 2 months into a solo trip around the world. It does get lonely quite a bit. However my airbnb hosts here in Bologna are quite wonderful. It’s a bit hard for me to meet people though and I hope to have experiences like you. I’m not too fond of hostel dorm rooms. I always end up getting annoyed with loud neighbors. I’m only 36, but I think I’ve outgrown those days. Any tips for meeting people outside of that environment? I have outgrown them too and have had to find other ways to meet people, though guesthouse common rooms even if I have my own contained suite still work for me. I also like looking online in expat communities or at meetup groups to find people. I think this deserves a post since a lot of people struggle with ideas on how to meet others and that’s something that can benefit groups and solo travelers alike. LOVE YOU SOOO MUCH! <3 <3 <3 Happy we met!!! So glad you found comfort in this post. I used to be kind of the shy type too. Thankfully traveling really cured me of that. You’ll meet people for sure. Hope I find as great travel buddies like you ! I’ve been there! You’ll be fine and have a great time! Traveling solo has led me to meet some of the most amazing people in the world. I always tell people that although I am traveling alone, I am never lonely 😀 Great post! Exactly. I might travel by myself but that doesn’t mean I’m alone! I have traveled by myself but it was always to a destination to meet with friends, so never truly traveling alone. Really helps to know that other people have traveled extensively and made friends along the way. At the end of the year I am leaving the US for my solo trip for an unknown amount of time! As excited as I am ( my best friend does live in England so that helps ) I am equally nervous about meeting people when I am in countries that I have no connections to. Although I wonder about if people will be more hesitant to engage in conversation because I’m a guy? It seems like when I have traveled in America and tried to couchsurf I tend to get declined a lot with really no reason other than just can’t. Maybe that’s different in other countries? In all of your travels have you noticed if guys are easier to talk to or if people are more hesitant to talk to guys? Thanks for the feedback. Really appreciate it! Also, love your snapchat! You crack me up! Hopefully I will have the guts to take a leap of faith and JUST DO IT one day!! Thank you for sharing your experience and telling others (me) how easy and safe it can be! You just got yourself a Norwegian fan! Hi Silje, Thanks so much for your kind comment! I’m glad you feel inspired – that was what I was hoping it would achieve. 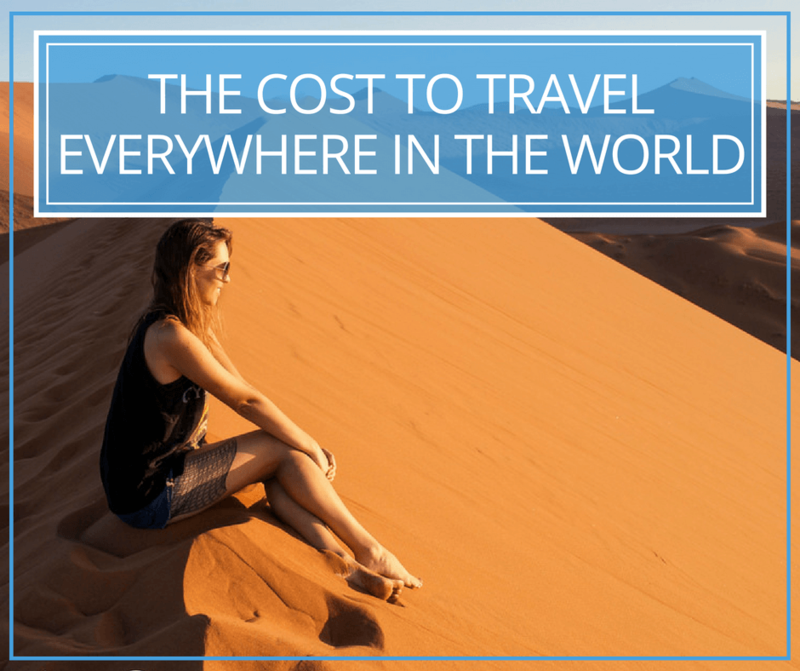 There are so many awesome girls who are afraid to travel alone but they totally have the skills and courage, they just don’t realize yet how easy solo travel is. 🙂 Have fun! See that’s why I tell everyone world is beautiful 🙂 This is how one should explore the planet. Every person is unique. 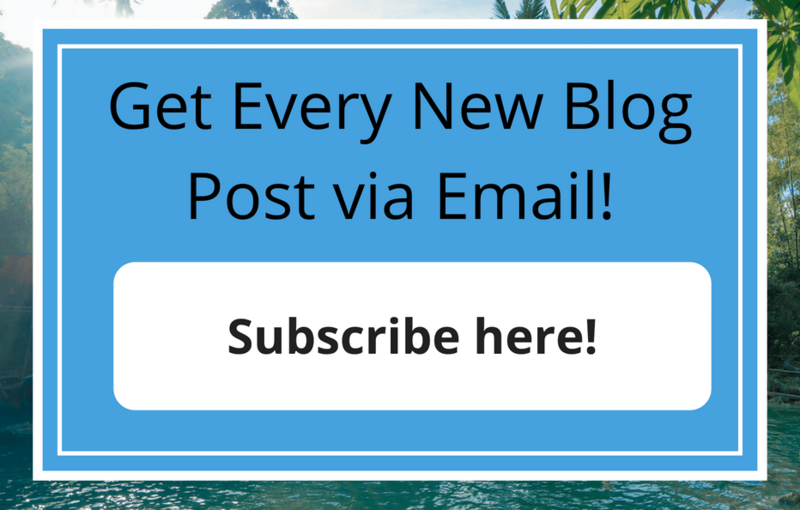 Traveling solo is traveling social! You’re forced to interact with fellow-travelers and locals more! Exactly. There were days when I was tired and if I had been with a friend, I wouldn’t have put in the effort to be social. However those times I’m thinking of led me to meet one person, and then another, and then another, and before I knew it I had a whole group of friends and we went on daily adventures. It was wonderful! My point is, its not for everyone the same and if you travel alone you cant take it for grantet that you meet people you get along with, especially if you are more the quiet sensitive kind…. it will get lonely, that beeing sad this is also how you grow, and then when you really meet people you appreciate it even more. So i dont want to discourage anyone from travelling alone, you just have to be prepared to do it all by yourself and if you meet friends and help along the way its a bonus, just dont relay on it. Your perspective is helpful, and I had really awful, lonely travel days too. I suppose that my memory is rosier than the reality sometimes was. I had days that were absolutely terrible: https://www.bemytravelmuse.com/horrible-travel-stories/, https://www.bemytravelmuse.com/when-traveling-goes-wrong/. I try to be honest about that too, so that people know that even this lifestyle is not the perfect one. The lows are really low. Visit the Philippines and meet me! Inspiring article with some beautiful photos! Loved your tattoo. I love this post. I’m at a cross roads in my life and I’m just digging into resources for answers, like you once wanted. it all seems so fuzzy right now. i’m in tears reading about the beautiful adventures and openness you experience when you let yourself. aaah, it’s all just boiling inside like a giant question. Totally know how you feel and once you just get out there it all becomes easier! Wow! Love this post. I have been travelling with groups but doing a day or two before or after my trip alone in my trips and kind of trying to settle with it. One day Ill do a whole trip alone! Solo travelling is the best way to self analysis. For me safety, cost and interest are really on high priority. Solo travelling is a great way to free for fears of the wide world. Thanks for sharing.